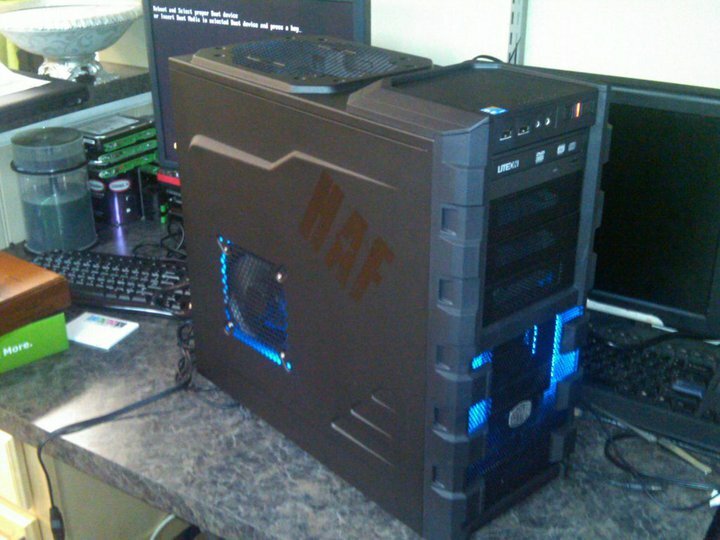 With Diablo 3 coming May 15th, 2012 – and its generally lenient system requirements – you might want to consider a custom built machine if you are looking forward to playing this game at maximum settings flawlessly. We are Logistics – based out of North Windham, CT (Eastern CT) My name is Ben and I generally do the builds for everyone that requests one. I personally have been building machines since I was about 12 years old. Have been through a lot of hardware in my 19 years of doing this and always found that high quality electronics build a flawless machine. You get what you pay for. And luckily for you, if you build with us, youre really not spending much more than what the parts cost. You tell us your budget – we order it – we build it – stress test it and ship it out to you. Diablo 3 has been a long awaited title since before I can even remember. Diablo 1 and 2 were some of the best games I’ve ever played and I will be getting a copy of Diablo 3 on release day and playing with my friends and family. We recommend building a machine with us because it will last for years and years to come, and if something DOES break………..The Manufacturers back up the products we use for 3-5 YEARS. For a mere $200 (our build fee) and generally around 35-50$ we fedex the machine to your door in 1-2 days after it’s built. (1 – 2 weeks depending on our workload). Here’s a little secret – building a machine is probably one of my favorite things to do. We spend a lot of time, routing wires so they are hidden for maximum cooling, and stress test all your parts so there are no issues once you get it. You get NEWEGG Dealer pricing on all parts if ordered with us – full quote on parts list + labor emailed for customer approval before any work is done! With all the available hardware options for computers out there, there has to be a way for the average gamer to differentiate between what machine to build at a price that not only makes sense to your wallet, but also plays the games that are out now and for years to come. In this article I will go over manufacturers to use when building a machine that will play the new Diablo 3 game by Blizzard. Keep in mind that from month to month, manufacturers are constantly coming out with newer, faster and more expensive hardware so what is expensive and top of the line this month, might not be the case next month. It is important to keep on top of what is being released to gauge what will make sense in your build. 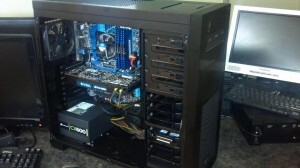 For example a GTX560 video card might be 299$ this month but the new 600 models might come out in the next month dropping the price of the 560’s to $199. Same goes with CPU’s, Motherboards and etc. First of all – let’s get this point very clear – you get what you pay for – spending money on some no name parts is going to get you an unstable system. This includes but is not limited to: Locking up and Freezing, Random Rebooting, and all of the things that will piss you off. So if you know your system builder, ask them what they are using for parts – if they don’t know or reply back with some junk brand name – don’t waste your time or money. 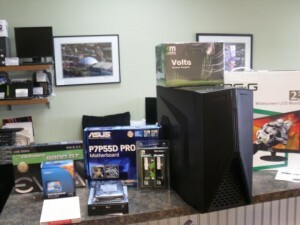 If you just spent $400 on “the best gaming computer” from a local shop I would be very skeptical and even more worried that it wouldn’t last much longer than 6 months. Also, the Dell your parents bought you with with an added GFX Card from Best Buy also doesn’t qualify as a gaming machine. Even gig companies like Alienware, or CYBERPOWER PC! YA SO COOL! CYBER POWER! use a few top shelf parts in their rigs but will skimp on things like motherboard and power supply in the end to make a few bucks. That’s not to say their 5 – 6000$ machines don’t though. But if you are spending 5-6000$ on a gaming PC you we’re ripped off. 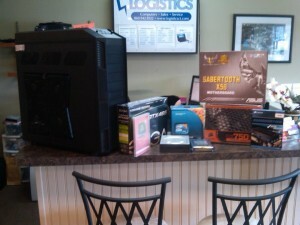 When you are building a new gaming machine, really plan on spending anywhere from 1000$-1700$. Depending on parts used of course, this will give you a nice medium to high end build that should last between 4-6 years of play without having to upgrade much of anything. (This has been current trend the last 10 years – the hardware far outplays the software that comes out). Motherboard: Asus – although AsRock has been making some real quality units lately, and their bios setup is really nice. Not to mention their price. Video Card: EVGA, Asus are among the best brands youll want to go with. Power Supply: Corsair, Enermax, Mushkin(discontinued) are among the best you can find. Remember, power is important, it is the blood stream of the system – And one of the most important selections you can make. 600W or less for single card GPU machines, and 750 and up for more than 1 Video Card. Hard Drive: SSD – CORSAIR or INTEL (updated firmware versions only) – SATA – Western Digital – Fast, Reliable and if they do break down their Advanced RMA feature is very convenient. Not to mention 3-5yr year warranties. 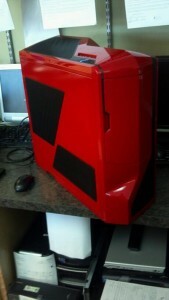 Case: NZXT, Antec, Thermaltake are the better brands. Case selection is important because it gives the machine proper cable management as well as good ventilation for cooling. Heatsink/CPU Fan: Thermaltake, Tuniq and too many more to list – Tons of options here, the stock fans that come with the i7 from intel are really pretty bad. They don’t always clip in right to the motherboard and can be a pain to seat in general. 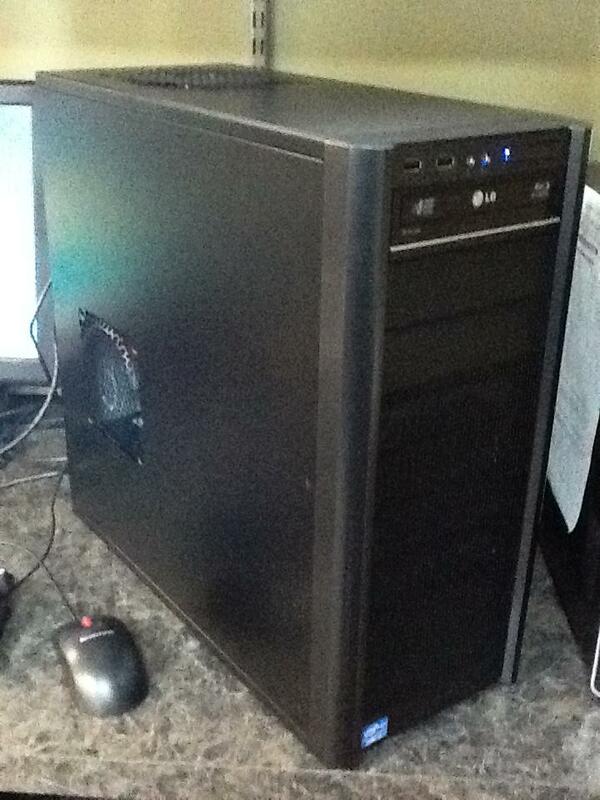 We do recommend upgrading it for 30-50$ depending on your budget. This is a very basic list of the parts you’ll want to have your PC built with. If you take this advice, you not only will get a machine that will play the games at a desired speed, but you’ll also get a machine that you can enjoy for years to come as well as have piece of mind from recovering from a failure (most of these manufacturers offer 3-5yr or even LIFETIME warranties on their parts). 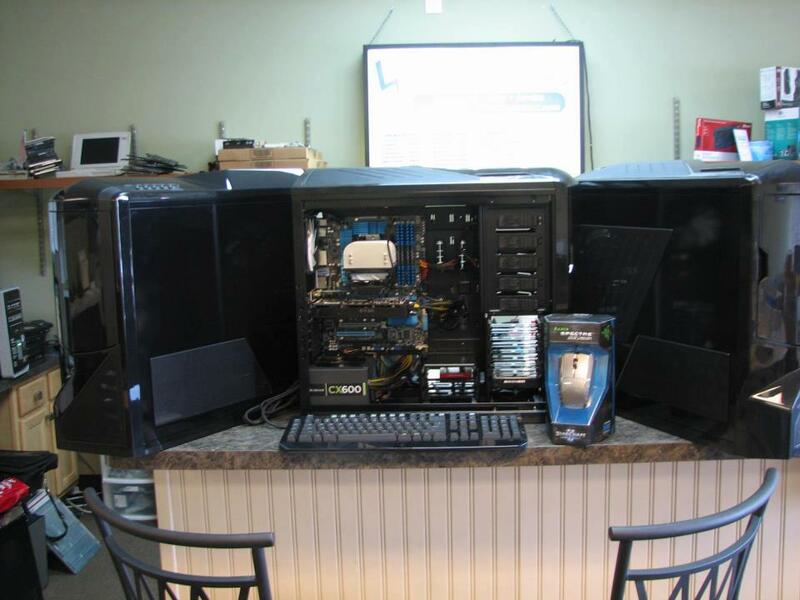 Logistics Custom Desktops are built using top shelf parts and we even give you dealer pricing on all the parts, generally all we charge you is a build fee somewhere between 200-300$ depending on configuration. 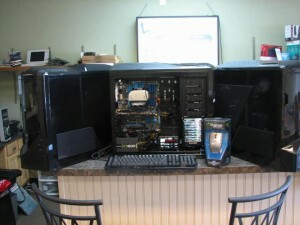 Or order your parts and have us put it together, configure it and set up your software. We also back our machines with 1 year support on all software issues – viruses and any troubleshooting + labor is all included in the price. If you are interested in having us build you a machine contact us. We’ll build you the best machine your money can buy – our price includes all parts & labor ($200 build fee) + shipping to your door.